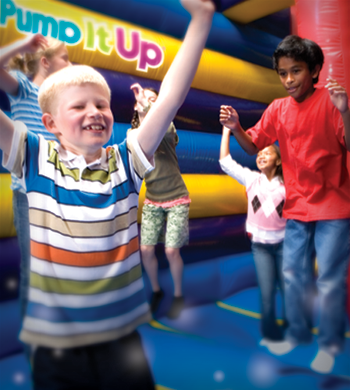 Our Open Jump times are open to the public jump times, where your child can have the time of his/her life! It’s not only fun for kids, but provides a healthy workout and burns off excess energy. Our Open Jump Times are open to all ages for $8.00 per child aged 2-17 and $5.00 per 1 year old, per session. (Babies under 1 are free)! Adults must stay and are free when accompanying a bouncing child! No food allowed or sold and party rooms are not open! Open Jump is meant for individuals and families. If you are a school, daycare or church, please check out our field trip pricing or call 817-845-9869 to schedule your private event! Please check the Calendar for times! $8.00 per child aged 2-17, $5.00 per 1 year old, per session.